“Turf the Slab” recently made some ink in the latest Brooklyn Paper. While the article downplays the real promise of Commodore Barry Park, it does highlight the fact that turfing the oval in Fort Greene Park is a nonstarter. The park is landmarked, and the Landmarks Preservation Commission (LPC) would never approve a turf field. In fact, the LPC could not even accept an application for such work unless it was fully funded to the tune of roughly $3 million (more with lights). The burden to raise that mountain of money would fall on local elected officials who would never waste political capital on a project bound for certain failure. Even if pigs flew, approvals alone would take years and would spark nothing but conflict in the community, inflicting far more harm than any soccer players kicking up dust ever did. People should understand that the turfing process itself is not as simple as rolling a nice green carpet over the dustbowl. It would require heavy machinery to excavate and level the oval several feet down to pour a cement foundation and build a drainage system. This would all necessarily take place in warmer months, so the park would be a construction site in peak season. Then, once you turf and infill, Parks would be obligated to build a tall chain link fence cage around the entire field for safety. 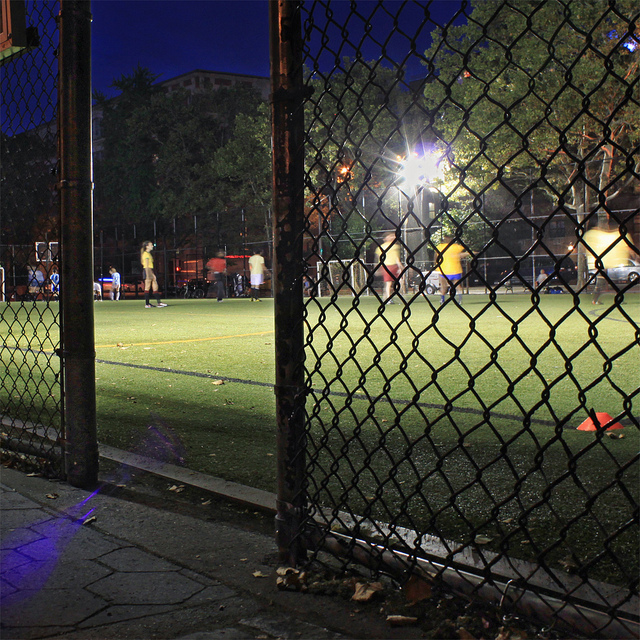 They could also make a case for lights so youth sports can clock more daytime hours, with some adult demand moved after dark. Let’s face facts, turfing the oval is just a losing proposition all around, and one that even the Dustbowl soccer players themselves reject outright. A turf field caged in chain link fencing is not a good look for Fort Greene Park’s oval, but it’s absolutely perfect for “The Slab” at Commodore Barry Park. Turf the Slab’s plan has no such hang ups, and is practically “shovel ready”. Commodore Barry Park may be Brooklyn’s historic first park, but it is not landmarked. Parks would love to make Commodore Barry a dazzling flagship, and with the Navy Yard and Admiral’s Row developing rapidly, local leaders know that improvements to Commodore Barry are wise and sustainable investments in our community. And most importantly, any local citizen who visits Commodore Barry Park can so clearly see its incredible potential to host sports and events, and to bridge divided areas of Fort Greene at long last. With gleaming new turf fields and a Mondo track for runners, Commodore Barry could be a vibrant green oasis at the crossroads of Brooklyn’s most exciting neighborhoods. 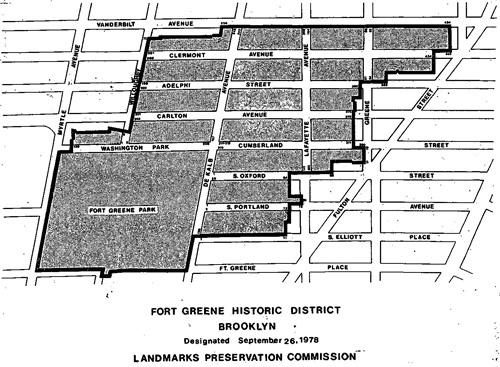 The people of Fort Greene deserve a real home field and Turf the Slab wants to help deliver it. Follow us and stay tuned for the latest news and special announcements from now through local elections this fall.